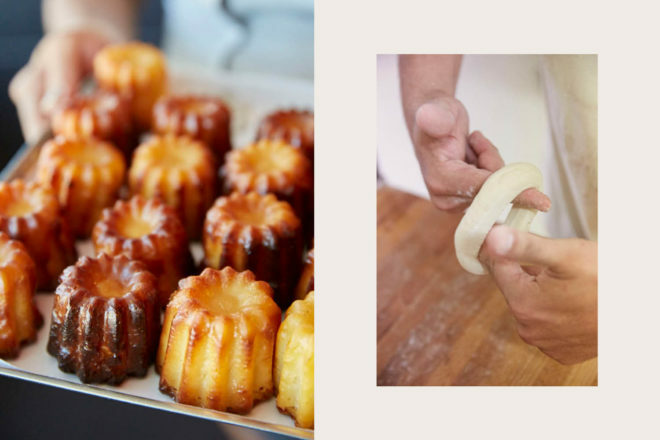 From left to right: Making pastry treats at Le Paradis Gourmand. Canele from Le Paradis Gourmand (photo: Nicky Ryan). From left to right: Sweet treats at Les Chocolates Morand. Chocolate is made locally (photo: Nicky Ryan). From left to right: Pastry for breakfast is a given here. 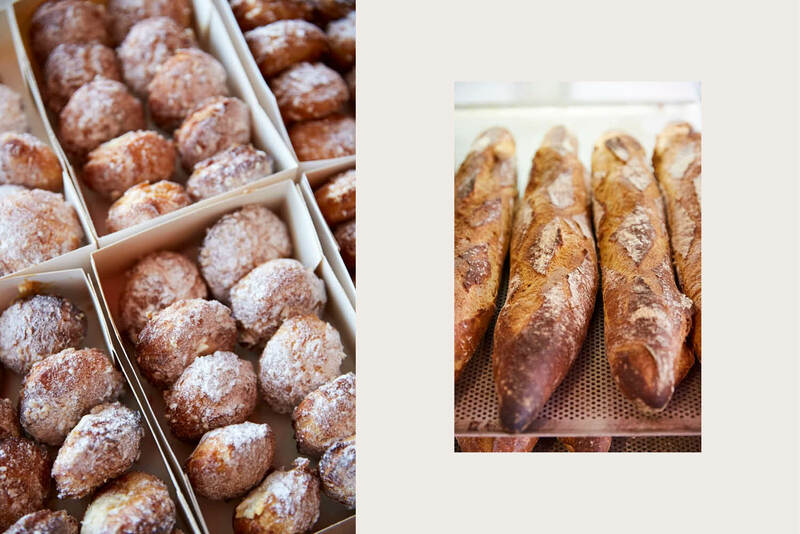 Fresh baguettes at Le Paradis Gourmand (photo: Nicky Ryan). From left to right: Fish features heavily on the menu in New Caledonia. 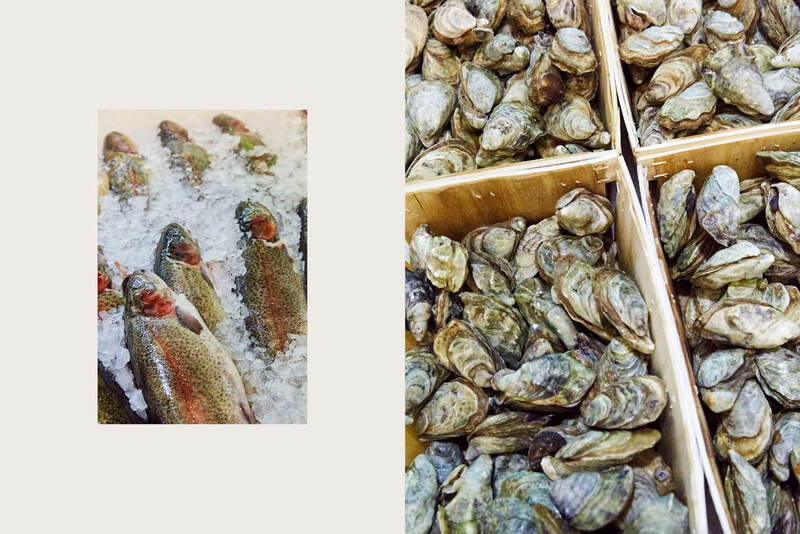 Fresh local oysters are a treat (photo: Nicky Ryan). From left to right: The French influence can be tasted in dairy delights. 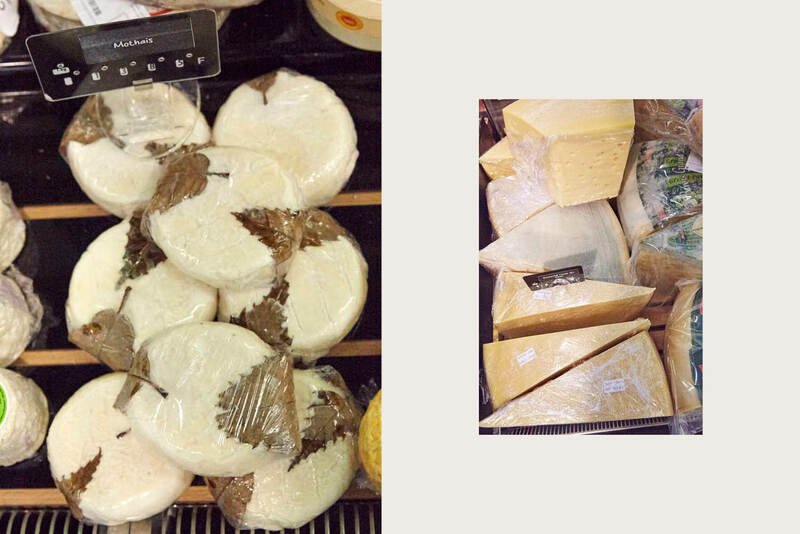 You’ll find an extensive range of cheese on the island (photo: Nicky Ryan). From left to right: Pineapples for sale. Bananas at the Noumean Market (photo: Nicky Ryan). With its idyllic South Pacific location and sophisticated French influences, New Caledonia is a culinary hot spot on the rise. Writes Marnie Clarke. 1. Seafood. From fresh-caught rouget (red snapper) and dorade (gilthead sea bream) in the north to coconut crab and sumptuous lobster on Ile des Pins in the south, New Caledonia nets the good stuff. Accordingly, the preparation needn’t be complicated: for instance, look out for dawa, or unicorn fish, which is sublime when grilled simply with garlic, herbs and butter. 2. Cheese. Any self-respecting eatery will feature good French cheese in some form on its menu, so you’ll be spoilt for choice. Or you could make like a Noumea restaurateur and head to sprawling supermarket Géant Hypermarché in Sainte-Marie, where you’ll find an extensive range including light and creamy Tomme Vache-Brebis from the Alps and enormous wheels of L’Emmental Grand Pavois from Charcenne. Much of it will have arrived just hours ago, too. 3. Beef. The west coast of Grand Terre is largely devoted to cattle farming, with impressive results. Caledonian beef is not exported so this is your only chance to savour the flavoursome meat, which comes cooked in any number of ways or even served as a silky tartare. 4. Venison. Introduced to New Caledonia in 1862, rusa deer now roam the land in their thousands. Local cuisine makes the most of their lean and tasty meat; enjoy it in sausages, saucisson, terrine, carpaccio, stew or simply on the barbecue. You can also visit a deer farm or try deer hunting for real paddock-to-plate insight. 5. Chocolate. With French influence comes a French sweet tooth. 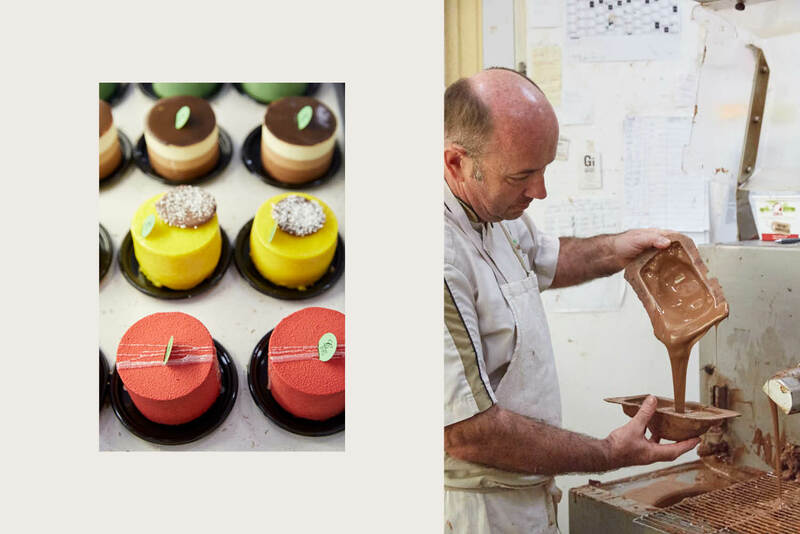 New Caledonia boasts a few chocolatiers but Normandy-born visionary Patrick Morand in Noumea is the best, emphasising Melanesian ingredients and boundary-pushing confections such as basil truffles. 6. Patisserie. Need we say more? The French have got this specialty on lock, and these islanders put their own spin on things: think vanilla mousse cake with pineapple-lime compote, lemon eclairs or chocolate fondant cakes with coconut or passionfruit filling. 7. Tropical fruit. 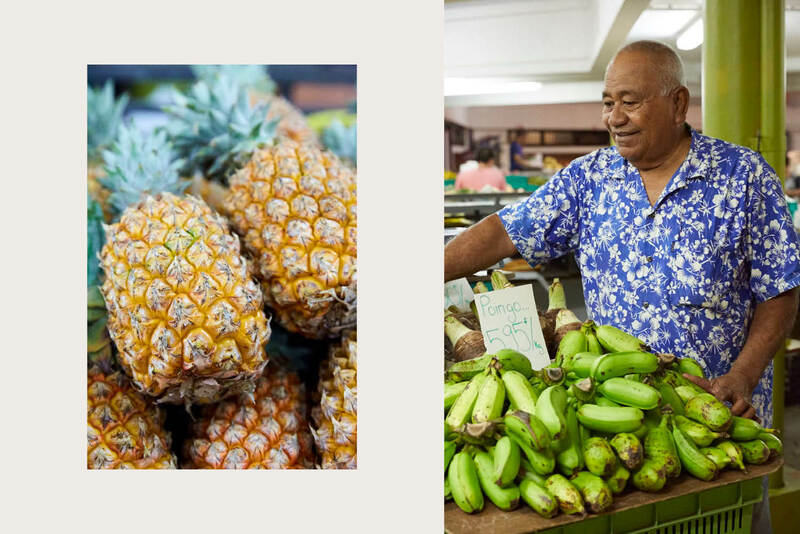 Whether it’s super-sweet lychees, tangy poingo bananas or velvety pommes à la crème (custard apples), Caledonian fruit must be tasted to be believed. Much of the produce here is grown organically using traditional methods so it might not look as uniform as the apples at your local grocer, but its flavour more than compensates. Visit an outdoor market or roadside stall and drop a few francs on whatever catches your eye. 9. Baguette. It’s hard to go past French bread. Noumea boulangerie-patisserie Le Paradis Gourmand heaves with a wide array of sweet and savoury baked goods but its biggest seller is the humble, versatile baguette, and for good reason: each fresh breadstick is crusty on the outside, fluffy on the inside and satisfying all the way through. 10. Bougna. You can’t leave without trying this traditional Kanak celebratory stew of local vegetables, meat or seafood and coconut milk that’s wrapped in banana leaves and cooked in the ground. That’s partially because of its comforting and wholesome home-style flavour and partially because you’re likely to enjoy it in the company of welcoming tribespeople, which is an experience not to be missed. More information: Looking for more to do in New Caledonia? Check out New Caledonia Tourism. What type of New Caledonia traveller are you?